Thanks Rob for making up the coffee, thanks Pam D. for the tea and thanks to those who brought the cookies and donuts. Rob distributed MPS Beekeeper business cards to everyone – for us to pass out to interested folks. upcoming meetings and some good links to useful beekeeping info. Hopefully we will have access to our meeting minutes and also a group email list for all our members. Deposits are mostly from membership and 50/50 draw. Marlo in Port Loring has nucs as well. 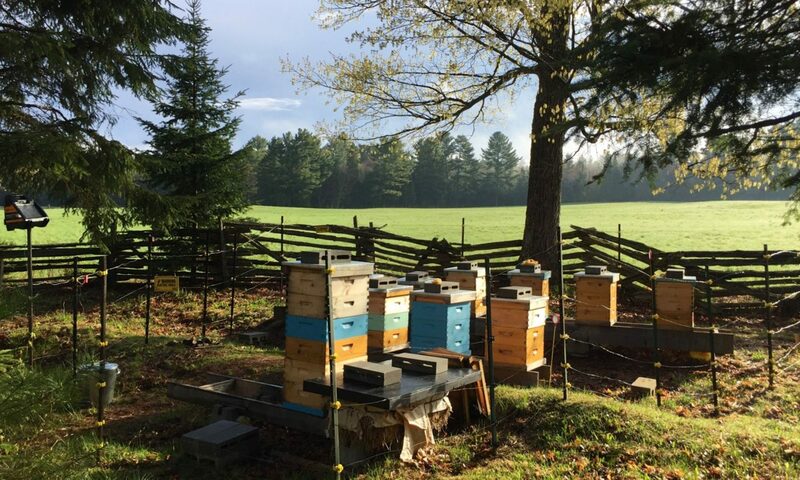 Bee yard registration – is mandatory with OMAFRA. Rob has forms to fill out. Registering your bee yard is free and is a good idea. It helps keep track of bee diseases and helps prevent their spread to neighbouring bee yards. Bee Candy recipe – Jane brought a few copies of a recipe for bee candy and handed them out. She talked about the new rules concerning access to Antibiotics. -diagnosis- with rope test – match stick, stringy to 1 inch. -dies before capped over, twisted larva adheres to cell. purchase bees from reliable sources, only from inspected by OMAFRA and a permit. Inspect new bees for pests. Buy new equipment, never buy old frames. There is still some uncertainty in dispensing of the antimicrobials. Thanks Kelsey for your presentation. Several members were going to check in with our local vets to see about making it easier to set up our Oxytet purchases. We will let you know when we get some confirmations. 50/50 $35 prize – Joe Boehm wins– who donated $30. back. Thanks Joe. Previous PostPrevious First meeting of 2019!